Luck be a kitty tonight. 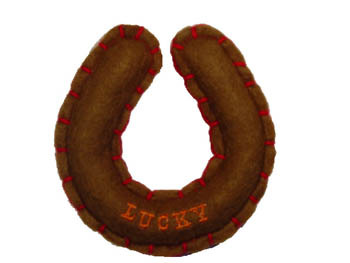 Red felt horseshoe is embroidered with “cat” on one side and “lucky” on the other, and stuffed with a healthy dose of organic catnip. 4″ long.